The history of the Labradoodle originated in Australia during the late 1980’s. The Guide Dogs Victoria took the challenge per request of a vision-impaired woman by the name of Pat Blum of Hawaii. Pat was in dire need of a service dog but her circumstances made it impossible due to the fact that her husband was highly allergic to dogs. The GDAV Guide Dog Services bred Harley, a Standard Poodle to Brandy, a Labrador Retriever in hope that they could solve this problem. Three puppies were the result of this breeding. Of the three that were born, one of the pups proved to have an allergy friendly coat as well as a temperament that would make him a compatible guide dog. That puppy’s name was Sultan. Little did he know that he was the beginning of a wonderful breed of dogs. Sultan was the first recognized Labradoodle. 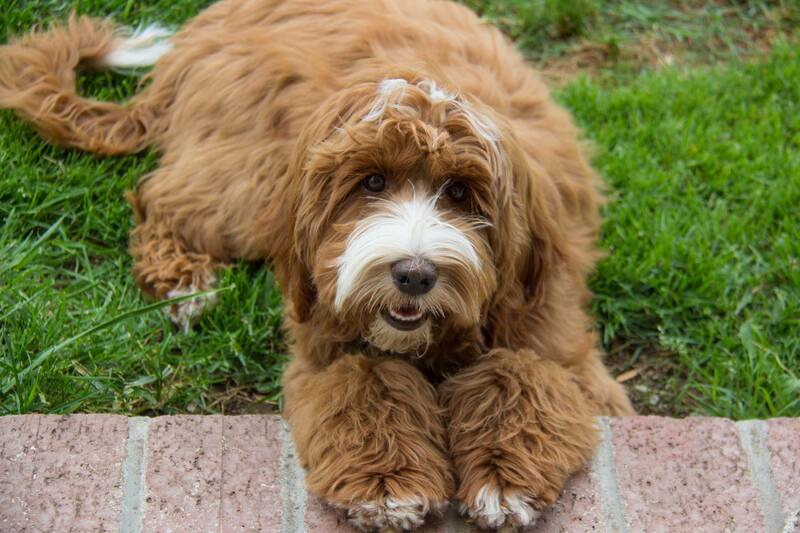 For over twenty years Labradoodles have made excellent service dogs as well as family pets. They have great personalities, are very smart and easily trained. They have also given severe allergy sufferers a new alternative, allowing many of them the ability to own and enjoy a dog of their own for the first time. First generation Labradoodles (F1) are the result of breeding a Labrador Retriever with a Poodle. This produces a 50/50 cross between the two founding breeds. This cross results in “hybrid vigor”, as well as a wide variety of coats and overall features. Hybrid vigor is the phenomenon that the first cross between two unrelated purebred lines is healthier and grows better than either parent line. A very good family pet, yet not always allergy friendly. Most first generation dogs shed to some degree. First generation backcross Labradoodles (F1b) are the result of breeding a first generation (F1) Labradoodle back to a Poodle. This produces a 25/75 cross between the two founding breeds. This results in a much more allergy friendly coat. F1b Labradoodles are no-to-low shed dogs. Multi-Gen Labradoodles are the result of breeding a higher generation Labradoodle to another higher generation Labradoodle. Their coats can range from silky waves of fleece to a curly wool. Multi-Gen Labradoodles are very allergy friendly and consistent in terms of coat quality. They are the best bet for someone who suffers with dog related allergies. Multi-Gens are no-to-low shed dogs. Wool – tight curls like a Poodle. Non-shedding and allergy friendly. Grooming is a must if kept natural. Fleece – Long fur which can range from curly locks to wavy. This coat type tends to be allergy friendly and no to low shed. Grooming is a must if kept natural. Hair – coat tends to resemble that of a Labrador. Non-shedding to heavy shedding. Least allergy friendly of the coat types. 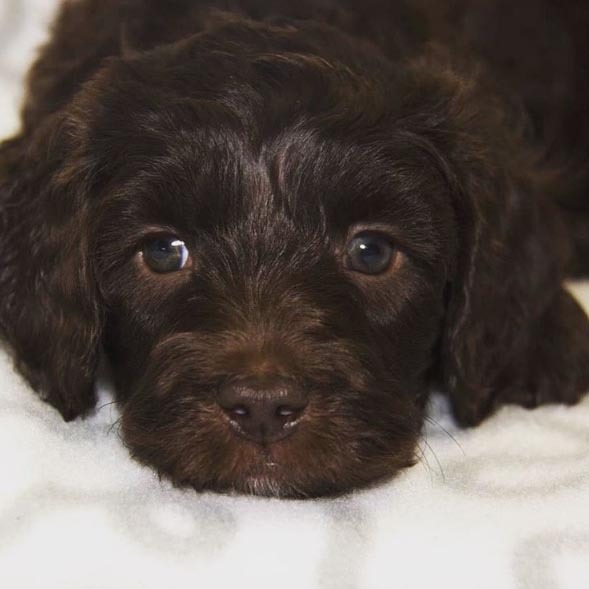 Labradoodles come in a variety of colors: Red, Chocolate, Chalk, Apricot, Cream, Café, Black, Silver, Blue, Parti, to name a few.